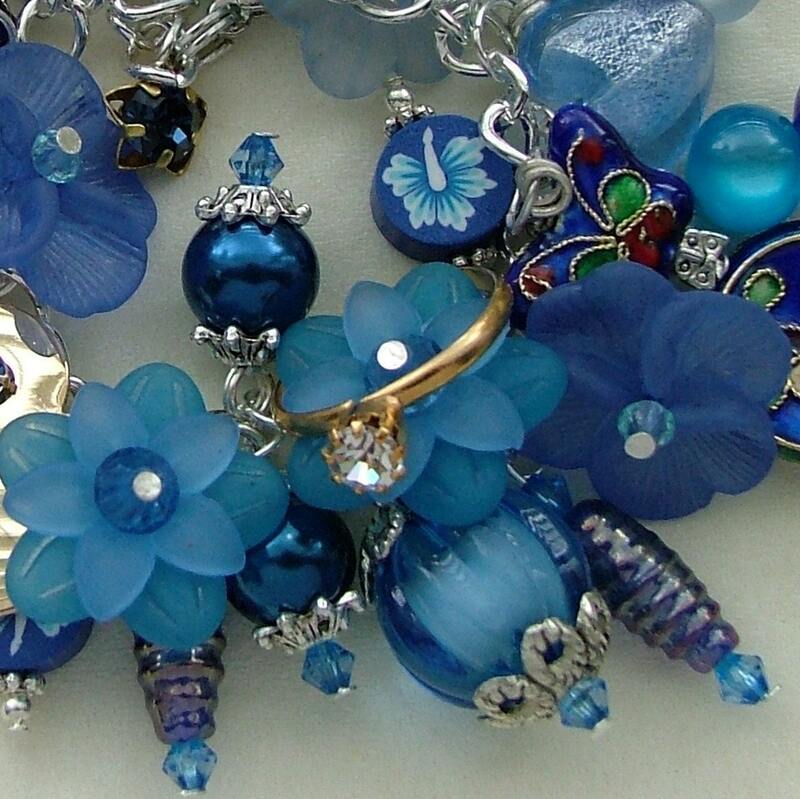 Everthing is blue - the cloisonne, flowers, charms and beads. Even the diamante gem on the vintage golden heart is blue. The ends are finished with 2 vintage blue diamantes in brass. This also has a foiled glass heart and a faux diamond solitaire ring charm. Folksy :: Buy "Vintage Style Bird Gift Tags"